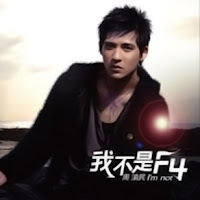 Download gratis lagu Vic Zhou - Wo Bu Shi F4 di MP3 Baidu (yang kolom pertama bertulisan 我不是f4). Hi, thanks for the suggestion. But Vic Zhou sang it with "wo bu shi F four" instead of "wo bu shi F si"